Scent, taste, and the development of the perfect cocktail. Between sixty and seventy percent of our flavor perception is governed by smell. It’s precisely this olfactory phenomenon that led to the establishment of the world’s first perfume-cocktail bar, Fragrances. Located inside of the Ritz-Carlton in Berlin, Fragrances has created a cocktail menu that allows customers to make a decision by using the intuition of scent. Mixologist Arnd Heissen is the creative mind who developed the concept of the aroma-oriented menu for Fragrances. 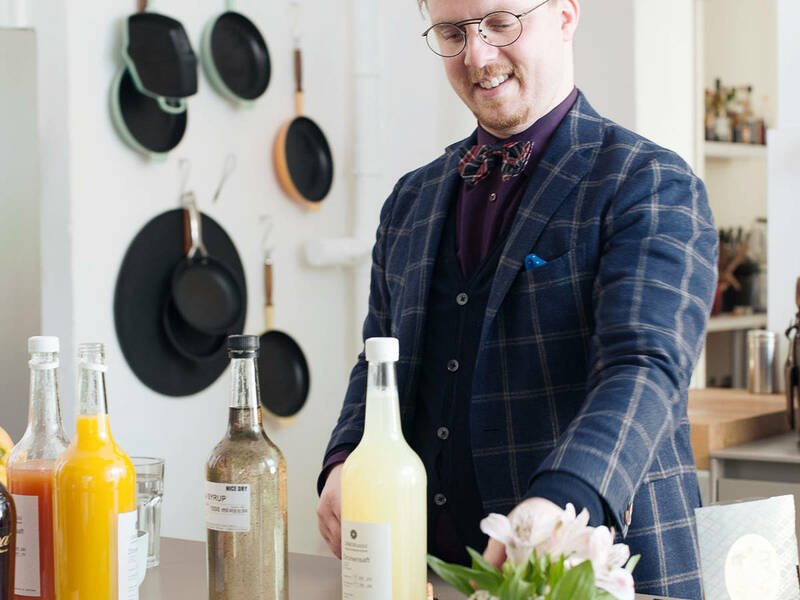 He recently paid Kitchen Stories a visit to share the recipe for 23, one of his signature drinks, and to talk about aromatherapy and cocktails. As Heissen prepared 23—his cocktail, which calls for Zacapa 23 rum—he provided some background information on the drink’s ingredients and their therapeutic qualities. Feel like you could use a little tranquility and sunshine in your glass? Then pick up a bottle of Zacapa 23 and an assortment of invigorating fruit juices—and be sure to make Heissen’s signature 23 cocktail today. You’ll find further instruction in the recipe below.